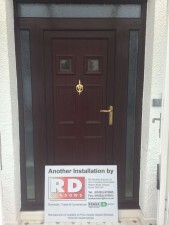 At R D Windows, we have a wealth of experience in manufacturing, suppling and fitting uPVC doors. Our doors come in a wide range of colours and styles to achieve the look you want to suit your property. We can help guid you through a number of different options to ensure you find exactly want you are looking for. Whether it be front, back, patio, french or a composite door. 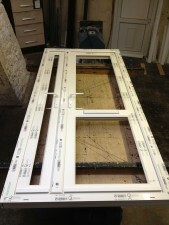 Our team also offer reliable door repairs if you should ever experience a problem. Simply get in touch with us and we will get a repairman to your door as quickly as possible. By offering top of the range uPVC doors, windows and conservatories, you can design a living space that you will cherish for years to come. Our attractive designs will become a big talking point for your guests and can even add substantial value to your property.